A week or so ago Nvidia quietly updated the official specs list of the GeForce GTX 1060 to include variants with 6GB GDDRX memory. 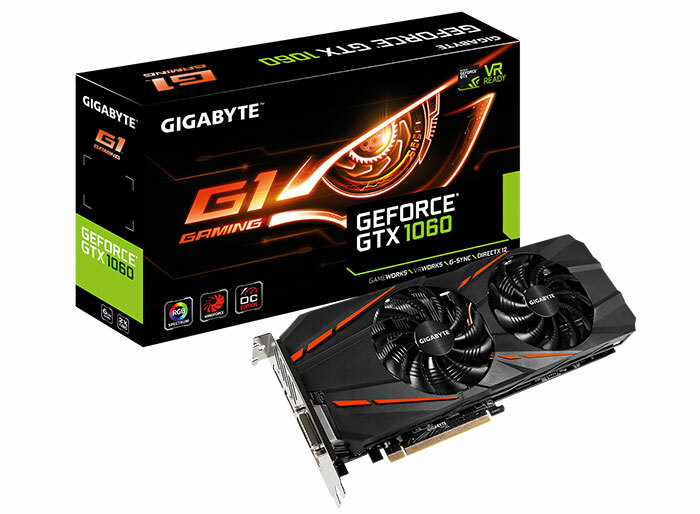 The first whiff of this change came via VideoCardz which heard of the new GTX 1060 variant via Gigabyte sources. Over the weekend the official page for the new Gigabyte GeForce GTX 1060 G1 Gaming D5X 6G was published. 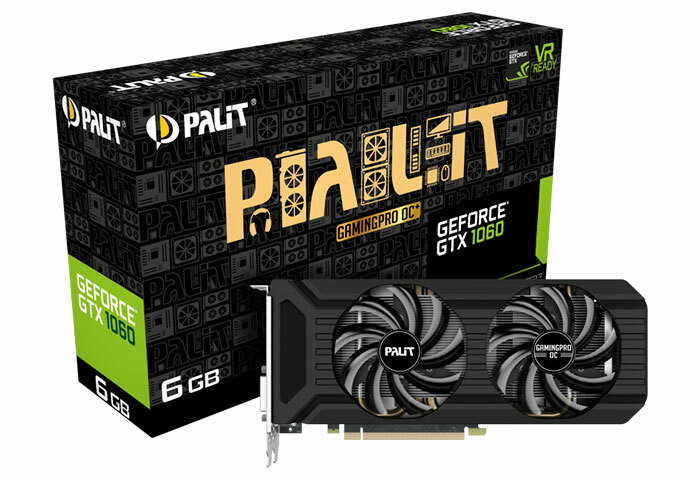 Another firm also unveiled a GDDR5X-based GTX 1060 card over the last few days, Palit, and its GeForce GTX 1060 GamingPro OC+. I checked Asus, MSI, Inno3d and Zotac for similar updates but there was nothing to be seen at the time of writing. It is good to see that Gigabyte's latest GTX 1060 card is clearly flagged as bringing GDDR5X memory to the range thanks to its D5X 6G suffix. Unfortunately right now Gigabyte is omitting certain details from the listing. Specifically we don't get to find out the GDDR5X memory clocks, nor the core clocks in any modes. As VideoCardz says, and as mentioned in earlier reports, the impact of the faster memory is unknown so far. Furthermore, the likeliness that the new GTX 1060 being built around a cut down GP104 GPU (rather than the GP106), could deliver some interesting real-world differences. Lastly, it was noticed that the pictures of the new graphics card reveal what appear to be SLI fingers - but the official images page has since been updated to change that photo. Palit has been more candid with its hardware specs in its official listing. The new Palit GeForce GTX 1060 GamingPro OC+ naming doesn't really indicate that it is packing GDDR5X memory but at least the product matrix of GTX 1060 cards on the Palit site lists this spec so you don't have to click through all the products or use a comparison tool. 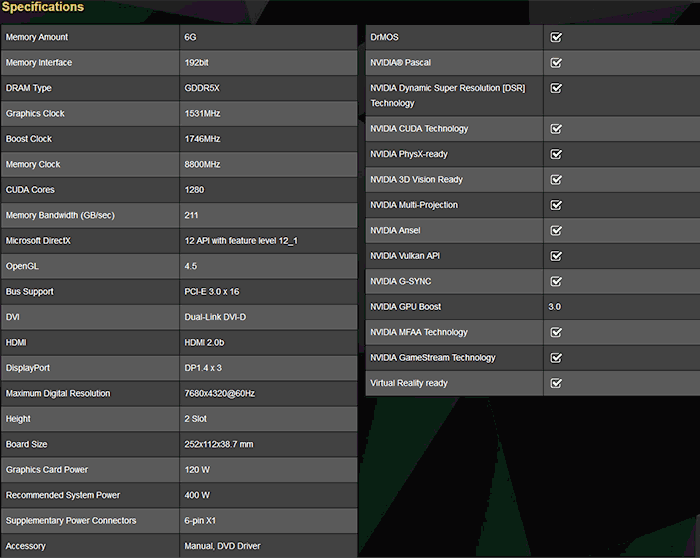 Key specs of the GamingPro OC+ are reproduced above. At 1531/1746MHz, you will see a slight uplift over reference base/boost core clocks. The GDDR5X memory is running at 8800MHz, which is 800MHz faster than reference but 200MHz slower than the GTX 1060 9Gbps SKUs (HEXUS Review: Asus GeForce GTX 1060 OC 9Gbps). In other specs such as CUDA core counts and memory bus width there are no changes to be seen. If we could have seen the back of the Palit of Gigabyte boxes we could probably have learned more. The availability and pricing of these GDDR5X-based GTX 1060 cards is likely to be revealed shortly. Talk about product segmentation, GDDR5X-based 1060's will mean we'll have eight different version of the 1060. Could it be possible to add ray tracing to this gpu ?. I currently have a 1060 and would be quite happy staying 1080p because the silly prices of rtx. It's great that the have added better memory but if I were to buy this I won't not see it as an upgrade. Is ray tracing exclusively 20 series ?. I think Nvidia are missing a trick here as 1060 is so popular. Give this gpu ray tracing and I would buy and i would be happy for a few years and I'm sure a lot of other people would be. Could it be possible to add ray tracing to this gpu ?